This package contains 12 Panavia Tornado GR1/GR1A and GR1-T models and paints for 40 aircraft, representing 13 and 45 Squadrons and 40 from the Tri-national Tornado Training Establishment (TTTE), circa 1990. Scenery and flight plans are not included. 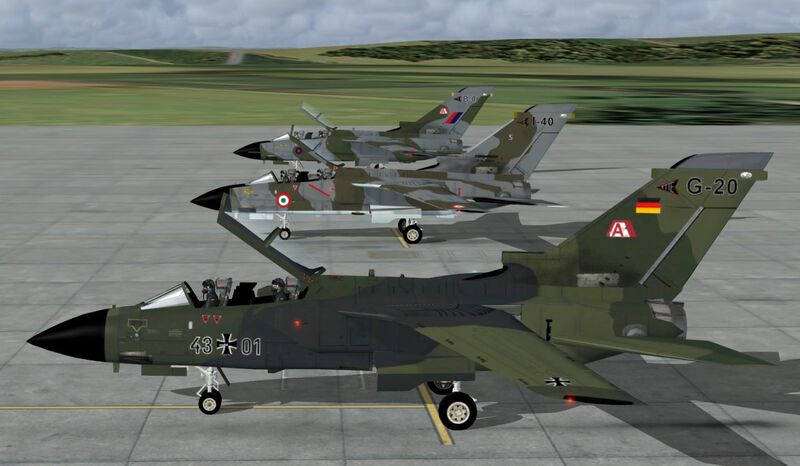 A separate package for FSX and P3Dv4 is in “JYAI Panavia Tornado GR1’s UK for FSX and P3Dv4.zip”.